Large Methane Leaks Threaten Perception Of 'Clean' Natural Gas A new study finds that oil and gas operations are leaking 60 percent more methane than previously reported by the federal government. A gas flare is seen at a natural gas processing facility near Williston, N.D. in 2015. A new study says the amount of methane leaking is more than government estimates. This comes at a time when U.S. is getting more and more of its power from natural gas; in 2017, 31.7 percent of U.S. electricity came from natural gas-fired generation, up from 27.3 percent in 2013. It's widely considered to be a cleaner fuel than coal, and natural gas does emit less carbon when it is burned for electricity. But this new, higher estimate of how much methane is leaking from natural gas production could change the whole equation. Anthony Marchese has been focused on measuring this problem for years. He's a professor of mechanical engineering at Colorado State University and in 2013 and 2014, he and his team of researchers spent months on the road, driving around to over 100 oil and gas sites in 13 states. "You'd pull up to one of these facilities in the morning. And we'd do a quick survey of the facility with our optical gas imaging, so this is a camera that can detect methane which is usually invisible," Marchese explains. "And we would see the facility and what we could call an 'abnormal operating state.' For example, you might see natural gas spewing out of one of the condensate tanks." Marchese says his team observed these abnormal operating conditions on pieces of oil and gas equipment, like condensate tanks, at 20 percent of the facilities they visited during their five months of field work. The nonprofit organization the Environmental Defense Fund (EDF) put the new methane study together using Marchese's data as well as data from more than 100 other independent researchers. According to their analysis, these large, usually unplanned releases are a huge contributor to methane emissions overall. The EDF estimates that overall, the methane leak rate is around 2.3 percent of total yearly U.S. gas production. That might not sound like a lot, but according to the EDF, it's enough natural gas to power 10 million homes for an entire year. "This paper shows that the emissions of methane from the oil and gas industry are a lot higher than what is currently estimated by the Environmental Protection Agency," Ramón Alvarez, one of the lead authors of the new study, says. "The fact is that the magnitude of emissions are so large that it has a material impact on the climate impact of natural gas as a fossil fuel." Methane is the primary ingredient in natural gas. It's also a powerful greenhouse gas, so leaks during natural gas production contribute to climate change. "Industry needs to increase its vigilance around finding both the run-of-the-mill leaks and the more dramatic high emissions from the abnormal conditions that are discussed in this paper," Alvarez says. "Over time, they need to determine what are the root causes that lead to these high emissions and find better systems." But the energy industry is pushing back on these findings, questioning the methodology of the EDF study. "Science is not one study and then it's all solved. It's the preponderance of evidence and there have been several studies which show much lower leakage rates," says Kathleen Sgamma, president of the Western Energy Alliance, an oil and gas trade group based in Denver, Colo. Moreover, she argues that Colorado producers have done a "great job" bringing down their methane emissions. There is something to that. 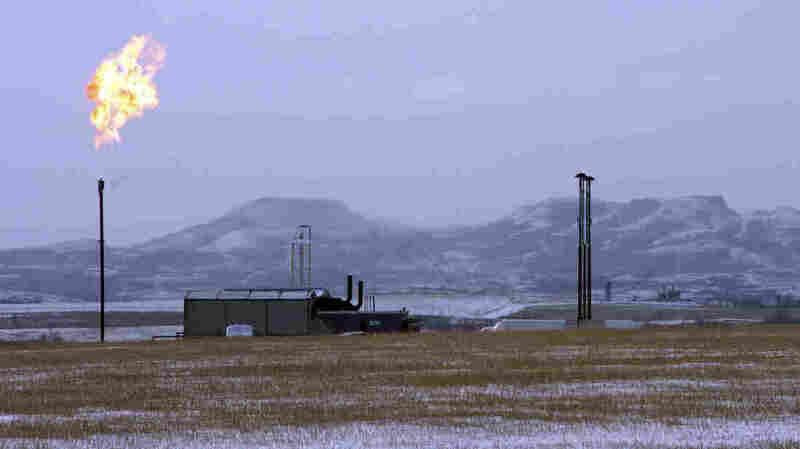 In 2014, Colorado become the first state to tackle the methane problem with regulations. Since then, the state says that the number of reported leaks has been steadily going down. Other states like California, New York and Pennsylvania also have plans to cut methane emissions. But at the federal level, the opposite is happening; the Trump administration is working to roll back two Obama-era rules meant to reduce methane emissions.